The worlds biggest and most magical festival, Tomorrowland, is back! This year, they follow the theme of “The story of Planaxis” this year. After a super successful edition last year with “Amicorum Spectaculum”, this years theme hints at something more aquatic looking at the blue and white theme and the conch shells. While the actual meaning is yet to be revealed, we’ll keep ourselves glued to the screen and keep waiting for hints to be dropped about it. What excites us more is the fact that this year, they announce 7 trance stages! Last year they announced 5 trance stages, all of which got some tremendous response. The most notable one being the Trance Energy stage which literally had us all in awe. This year, it gets bigger and better! The London based label spearheaded by Above and Beyond gets it’s own stage this year at the festival. We can expected the stage to be headlined by some of the stars for the label, namely, Ilan Bluestone, Jason Ross, Oliver Smith and many more! The anjuna label on the whole gets a lot of love and warmth from fans all around the world and we are sure that the stage will be a hit for sure! 26 years into the business, this stage will be featured on both the weekends of the festival this year! They also got to host a stage last year which was extremely successful. We can’t wait to see what this year brings for them! Hosted by Johan Gielen, this stage is a must visit! Last year, Johan played a legendary set at the Trance Energy stage. This year, he gets his own stage. The mere mention of classics got us jumping! We can’t wait for the line up to be announced for this special one! The most successful trance stage that left the world watching with their jaws dropped! This was one stage that was sure to make a comeback this year. In the last edition, the stage had a wonderful line up and the sets were so beautiful, it had people swarming at the stage! The famed label by Armin Van Buuren makes it’s comeback this year again at Tomorrowland. Armin will be playing the mainstage as he doess every year, but it’s his set at the ASOT stage that we look forward the most to. We can expect him to drop a beautiful set which is true to trance. Apart from that, we can expect to see some of label favourites like Gareth Emery, Ben Gold, Davey Asprey and many more to play at this stage! Aly & Fila are back for the second time in a row with their FSOE stage at Tomorrowland. Their shows are absolutely spell binding and we are super excited to see who makes it on the line up this year! Tomorrowland, see you again soon! The stage we are most excited about and super surprised to see being featured this year, the one and only VII stage! The entire crew that consists of Will Atkinson, Simon Patterson, Sean Tyas, Freedom Fighters, John Askew, Alex Di Stefano and Astrix, are set to take the stage this year. They had a stunning impact at EDC where they also got a featured stage. Expect some hard and banging trance from this one! Gather your #TeamUppers and catch this one for sure! With the stages itself generating such a massive buzz, we can’t wait to see the line-ups for each of these stages. 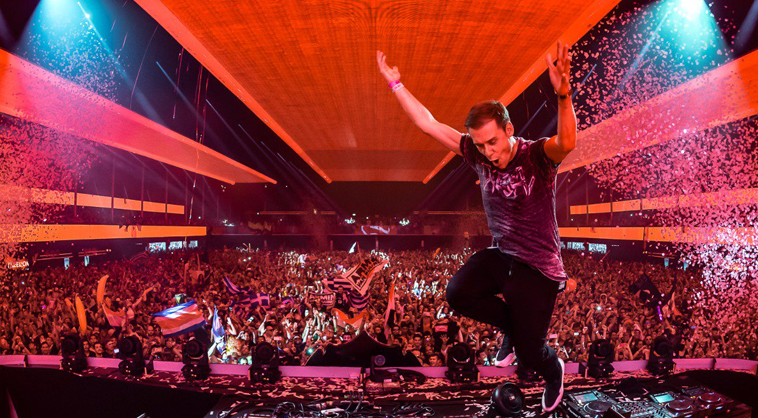 Be prepared for some madness and get the best of trance this year at Tomorrowland. Tomorrowland takes place from the 20th – 22nd July and 27th – 29th July! Register yourself for the ticket sales now!